The Hillsboro Hops waited until the seventh inning before reaching the scoreboard. When they did, Jorge Perez continued his productive night to ensure the win over the Salem-Keizer Volcanoes 4-2. But, for the first six innings, the game belonged to the mound. 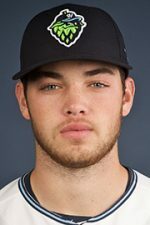 Matt Tabor started for the Hops and pitched five scoreless innings on only two hits. The Volcanoes managed to reach third base twice during Tabor’s tenure but always with two outs. Tabor either induced a pop up or a fly out to end the inning. For his third start in a row, Tabor went five innings and pitched well but again did not get the run support early enough for a chance of a win. This time, Matt left the mound after five with the score 0-0. Volcano starter Seth Corry did his best to match Tabor pitch for pitch. Corry lasted for an equal five scoreless innings on only two hits. But, like his nemesis, left the mound after five with the score tied 0-0. Mack Meyer (L, 2-4) eventually took the mound and was handed the loss after the Hops three run seventh inning. Ethan Larrison (W, 5-1) relieved Tabor and stayed on the mound long enough to be there for the victory. Wesley Rodriguez (H, 3) and Josh Green (S 9) finished the game to ice the win. The Hops now have the best record in the Northwest League and are now 8-2 in their last ten games. When the runs did start coming, they came in a hurry and with the help of Jorge Perez. By contributing two scores and two RBIs, Perez had a hand in all four Hops runs. In the seventh, Perez doubled with both Will Gorman and Ryan Tufts in scoring position for the game’s first two scores. Adding more excitement, Perez went to third on Jake McCarthy’s single and stole home on a double steal with McCarthy taking second. 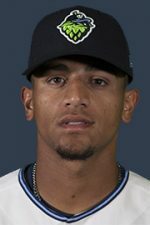 Finally, Jorge Perez added an insurance run in the ninth when he scored from third on LT Tolbert’s line out and short stop Nico Giarratano’s throwing error. The Volcanoes tightened the game with two runs of their own in the bottom of the seventh in response to the Hops 3-0 lead. But Wes Rodriguez came on to shut down the Volcano threat. The win increased the Hillsboro Hops (15-8) lead in the Southern Division to four games. The loss dropped the Salem-Keizer Volcanoes (11-12) into a two way tie for second place with the Eugene Emeralds (11-12). The win also gave the Hops the series win (2-0) with one game left to go. Both teams will return to the Volcanoes Stadium for the final game of the match. After that, the Hops will return home for the first time since before the All-Star Game on 8/8. The Hops will enjoy an eight game home stand. 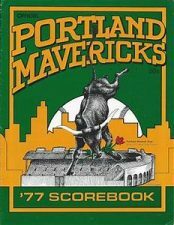 Their first game back will be Portland Mavericks Monday as the red uniforms will return once again to celebrate the legendary independent team from the seventies 17 different original Mavericks will make a guest appearance meeting fans before the game and signing autographs.